You’ve decided on the ship and itinerary you want – now it’s time to get the best price on your Disney Cruise. There are two factors you can control when booking your cruise to keep costs down. First is your dates – and we looked at that yesterday if you want a refresher. Second is your stateroom category. Some people have strong feelings about their staterooms, right down to wanting to book the exact same one from cruise to cruise. Others take the approach of “it’s where I’m sleeping so who cares – I’ll take what’s cheapest.” But whatever your preference, your choice can have a big (or surprisingly not so big) impact on the price of your cruise. Disney Cruise Line pricing per cabin on a 7-night cruise. If you’re not already familiar with the different stateroom categories on Disney Cruise Line jump to the section that explains the differences before looking too closely at the price chart. For this article, I looked at the pricing for my median 7-night cruise, which happily still had all the categories available (except category R, concierge royal suites). Pricing is for two adults. If you’re seriously looking at the royal suites – call me, I can squeeze into a full size suitcase if I need to. Seriously, these suites (which do sell out) will run you in the high 4 figures for a 3-night cruise on the Dream up to well over $20,000 for a 7-night on the Fantasy during a slow season. At this time, it’s $22,000 for two adults for the least expensive December cruise, but most sailings are sold out. I don’t even want to think what the Christmas and New Year’s fares are. What’s remarkable is the steady slope of the line (until you reach the concierge level). This tells us that Disney is very consistent in its pricing across the categories. This is interesting because there isn’t the same amount of staterooms in each category. The vast majority are verandah staterooms, but in this case a larger supply doesn’t equal a lower price. Disney seems to have just the right amount of each type of staterooms to meet guest’s demands. A category 4A (the most expensive non-concierge stateroom) will average about a third more expensive than the least expensive cabin. For this you get 130 more square feet of space (for reference a room at Pop Century is 260 square feet). You also get a view. This seems pretty fair to me. I haven’t had the pleasure of cruising in a suite (December, get here NOW), but a reader was kind enough to let me see hers on my last cruise. Sorry I wasn’t able to get photos, but take my word for it that one bedroom was a SWEET SUITE. I can’t afford it any time other than early December (we got it for 2 people for 4 nights for just under $3300), but I can tell you it’s head and shoulders over the regular staterooms. When you see the room, you understand the price difference. Not that they’re bad – I’ll cruise in any type of cabin I can – but this was really nice. And you’ll get a great photo tour of it in 10 months. The only stateroom type that perplexes me is the OOV on the Dream and Fantasy. In this case, you’re truly only paying for the perks of staying concierge (86% more in fact) without getting an upgraded room. All stateroom categories are pleasant and functional. And this isn’t the Titanic – other than the folks in the concierge rooms, everyone receives the same level of service no matter which category they’ve booked. I can honestly say I’m happy in any of them, and was really pleasantly surprised how much I like my outside deck 2 staterooms the last time I cruised on the Dream and Wonder. The perspective being that close to the water is really nice. These are category 10 and 11, with 10 being the Deluxe Inside that is slightly larger and includes the split (sink and toilet, and sink and shower) bath that Disney pioneered. 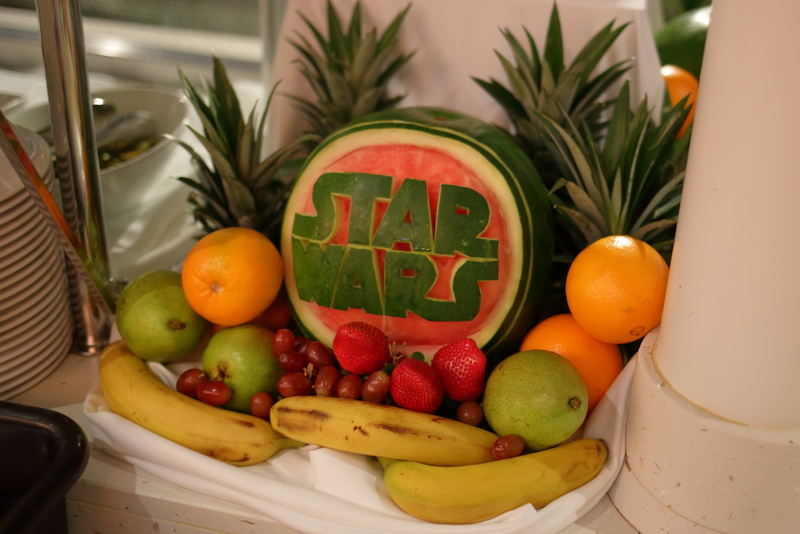 They’re found on most decks, but are only about 12% of the total guest cabins on the ships. On the Dream and Fantasy, they include the “virtual porthole” – a round screen over the bed that shows guests a view of the outside with the occasional animation. These are category 8 and 9. They are found on the lower decks where it is impossible to have a verandah, but do offer a porthole view of the ocean. Deluxe Outside staterooms (category 8 on the Dream and Fantasy) offer the same square footage of category 5, 6, and 7 verandah staterooms. All outside staterooms have split baths. These are found on all nearly all decks. 16% of guest staterooms are oceanview. These are category 7 to 4, with 4 being the larger Deluxe Family Verandah stateroom. Verandah staterooms offer an outside balcony off your cabin. These are found on deck 5 and higher. 72% of guest staterooms have a verandah. What’s behind this sign? Something magical. And very expensive. If you enjoy reading about Disney Cruises or want to try out our tools like the Fare Tracker, please consider subscribing to TouringPlans or buy the latest edition of the Unofficial Guide to the Disney Cruise Line by Len Testa, Erin Foster, and myself. If you’d like to see more analysis of the Disney Cruise Line, please let us know in the comments. Your feedback helps us improve our content. 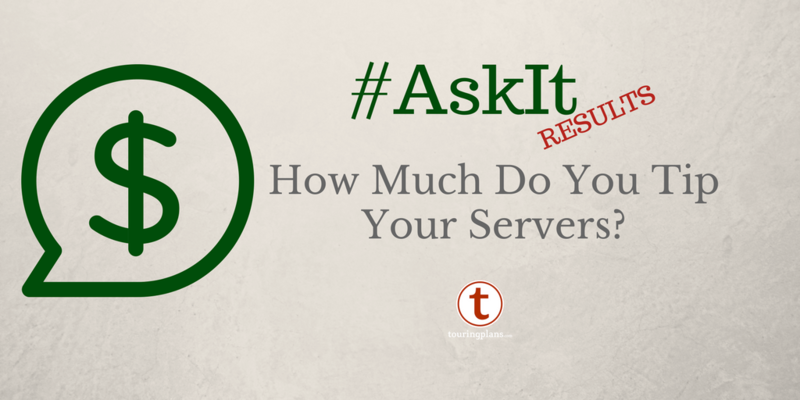 Ask It Results: How Much Do You Tip Your Servers? Daisy’s Best Week Ever January 19, 2017: Sailing Away! I really like these DCL analysis articles. We have cruised on the Dream and Fantasy one time each, but I am learning a lot from your analyses. I like seeing the breakdown on the different categories, as it has all seemed a little overwhelming even with the help of the guidebooks. We have erred on the side of caution and chosen category 4a for both cruises. It is nice to know how that all breaks down dollar for dollar. And while we would have loved to be at the concierge level for the perks, when we priced it out for ourselves we realized that the up charge for the same stateroom was not worth it to us. Of course, that is a very subjective decision that is based on personal priorities. Thank you for the great information.